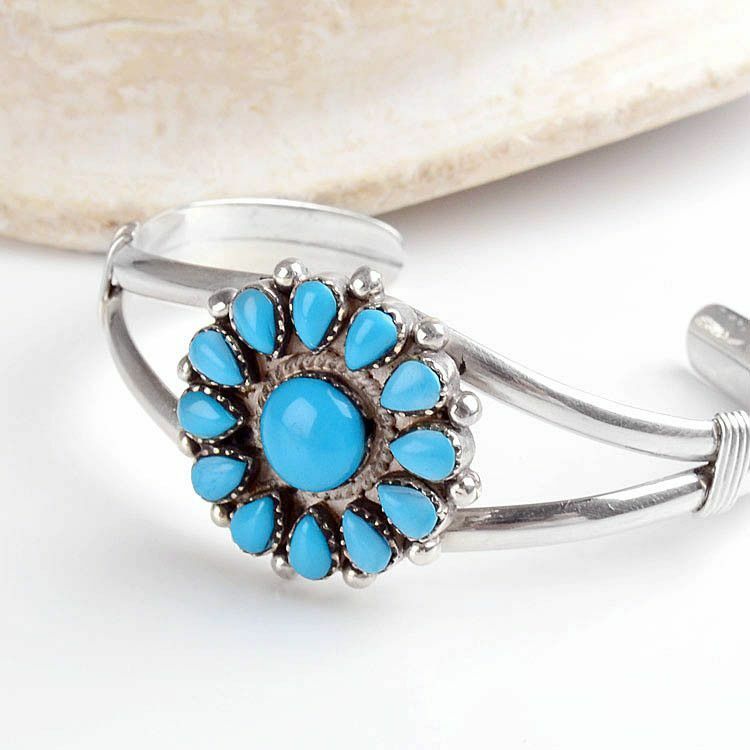 This 1 1/4" turquoise flower silver cuff bracelet stands out on your wrist! 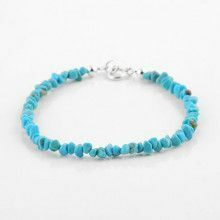 Twelve individually set, inverted turquoise teardrops surround one circle stone in the center. Silver balls adorn the outside of this beautiful floral design. 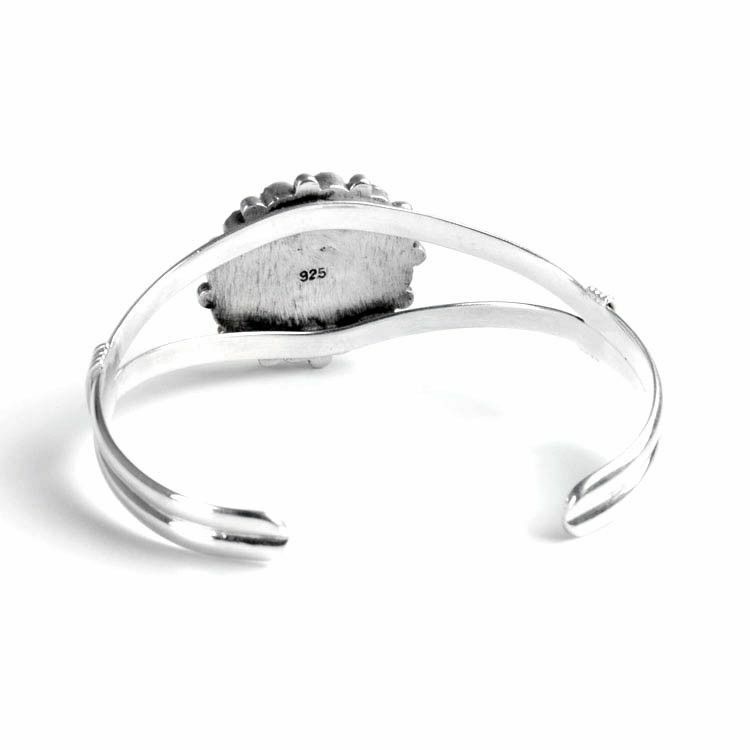 The cuff style allows this bracelet to fit virtually anyone, as the sterling .925 silver is bendable.